A unique and effectual range of services designed with customer benefits on the forefront is what that makes DNS Associates stand out in the field of Finance and Business Accounting. Our company specializes in Limited Company Accounting, Tax investigation, Tax Planning and Calculation, Account Authenticity and other services and have a specialized team of Accountants with in-depth knowledge and proficiency in the field. Chartered Accountants, Tax Accountants and Contractor Accountants in London; we have all types of accounting services to be offered that are required by any business or individual. In the year 2013, we were awarded the prestigious British Accountancy Awards. Apart from that, our trustworthy services have led to an enormous local recognition with DNS Associates recognized as a synonym for Expert Accounting Services. Since 2005, our team has helped out more than 1200 clients regarding various Financial Accounting issues. Providing efficient, to-the-situation solutions for any problem with your Accounting books; this is what we strive for. We are established in different localities of the United Kingdom including Coventry, Halifax, Watford, Inverness, Reading, Euston and London. Our Free Online Accounting Service is our flagship service with real-time access to all accounting data, and records, complete transparency, and authenticity of the accounts, all of these features can increase the productivity of your accounting system greatly. We also give three months free service to all our customers so that you a preview of our premium accountancy services before committing to a long-term contract. Known as the capital of the Highlands of Scotland and the happiest place in Scotland, Inverness is a beautiful city in the northern United Kingdom. The city is considered to be one of the fastest growing European cities with more than a quarter of the Highland’s population settled in and around Inverness. It was ranked fifth among all the cities in the UK, regarding the quality of life. The city has experienced exponential economic growth showing the largest growth of average economic productivity per person in Scotland and second largest in the UK. Traditionally industries such as the distilling industries have been slowly replaced by high-tech businesses and industries such as those involved in the research and manufacture of diabetic diagnosis tests. A lot of medical and medical devices related industries are established in the region. The Scottish National Heritage or the SNH is established in Inverness and is one of the largest employees in the area. If anything in your accounting books adds wrong, whether it is on the balance sheet, tax planning or the general accounting, we, at DNS Associates are armed with experts to help you out! We aim to provide fast, efficient and dedicated assistance in the field of accounting consultancy, corporate finance, account improvement, etc. 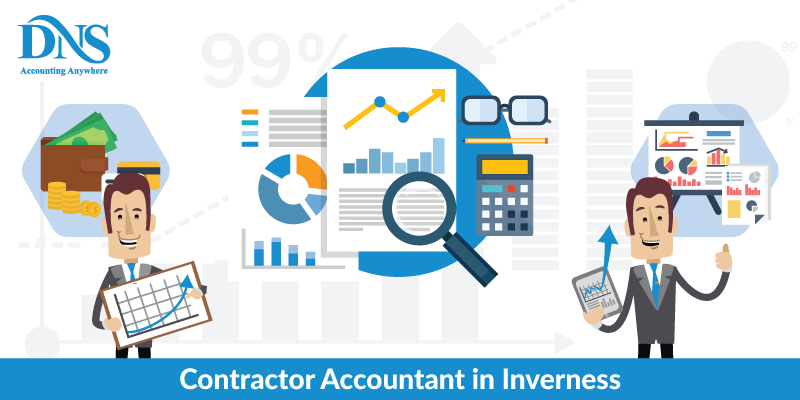 Our crew of qualified and professional chartered accountants in Inverness would be right at your service for anything that ranges from creating accounts and balance sheet, calculating tax to providing company secretarial services. Tax planning is a major worry for most people running a corporate life alongside their personal ones. When it comes to paying taxes, you can cut down a lot if you are careful with the accounting and tax planning with the help of experienced tax accountants. We have a brilliant team of tax accountants in Inverness With extensive experience to work towards planning your taxes and calculating possible reductions and loopholes. We help you out with all types of tax related services such as tax planning, payment, and tax advisory services. Our experts have an incredible experience in handling taxes of individuals, entrepreneurs to even large corporate companies and growing start-ups. For all of these different types of establishments, a different pathway must be chosen in terms of tax accounting. IPSE or the Association of the Independent Professionals and the self-employed is the largest association of independent professionals, freelancers; consultants and chartered accountants from every sector of the economy in the European Union. It was formerly known as PCG. IPSE Members are rewarded with many benefits such as tax and legal helplines, IR35 support and compensations for leaves. Here are a few benefits of being an IPSE member that you should consider before thinking of joining this professional body. A toolkit that includes business templates and client contracts, etc. Huge professional body; Helps for an extensive network of experienced professionals. Auto-enrolment is a legal requirement in all businesses that makes it mandatory to provide a QWPS/WPS to eligible employees. QWPS here stands for Qualifying Workspace Pension. Businesses need to make a contribution for the employee’s pensions making sure that both the version, i.e., the employee and the employer pension calculations equate. We, at DNS Associates help and ensure that your business meets all of these legal requirements. We ensure that your business establishment remains compliant within the laws of both the government and the HMRC. A perfect harmony in the financial world that is what we at DNS Associates strive to achieve. 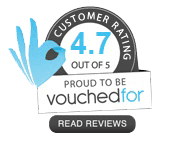 Our new and specific range of services set up from the customer’s point of view such as Small Business Accountants in Inverness, online accounting services, contractor accountants in Inverness, etc are guaranteed to perform beyond their expected level. DNS Associates have their services spread in many parts of the United Kingdom such as Bradford, London, Inverness, Leeds, Huddersfield, Pudsey, Shipley, Halifax, etc. Whether it is tax planning, account fraud investigation, financial benefits analysis, business forecasting or any other matter that relates to the financial aspects of your business, our services will help you manage your accounts and finance in a better way.